Hi everyone! I don’t know where you are located, but here in NWA it has turned off quite chilly!!! We actually got a little snow on Saturday, Emmalyn was so excited to get out and play in it. This is Emmalyn’s first ever snow angel! That’s how little snow we have gotten in the past 4 years, that we haven’t had enough for her to even try. I have two books that I’ve been meaning to review for awhile. I really like them both and I don’t know why it’s taken so long for me to publish the review of them other than just life has been happening and time got away from me. The first book I received to review was “Big and Little Coloring Book” written by Rachel C. Swanson and Illustrated by Jacy Corral. First I want to say that this book is a genius idea! This book is a coloring book that is designed in a way that two people can color at the same time. 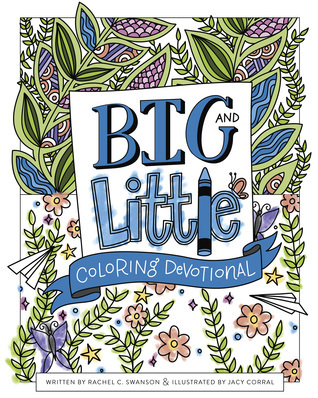 One side is geared towards children with a Bible verse and simple illustrations, while the other side is more for adults with a small devotional and slightly more intricate illustrations. I love how it takes an enjoyable children’s activity and pairs it with a calming adult activity. This is such a fun way to have a devotional time, learn a verse, and do an activity with your child. Emmalyn and I have enjoyed getting to do this together! I received a free copy of this book from B&H Publishers for the purpose of an honest review. All opinions are my own. 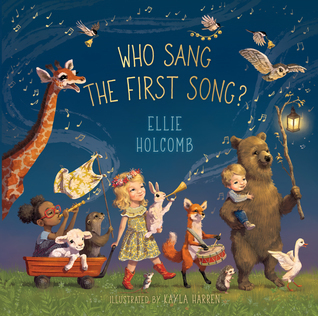 The second book I received to review was a children’s book “Who Sang the First Song?” written by Ellie Holcomb and illustrated by Kayla Harren. This book is beautiful both with the illustrations and the wording. Have you ever wondered where the first song came from? 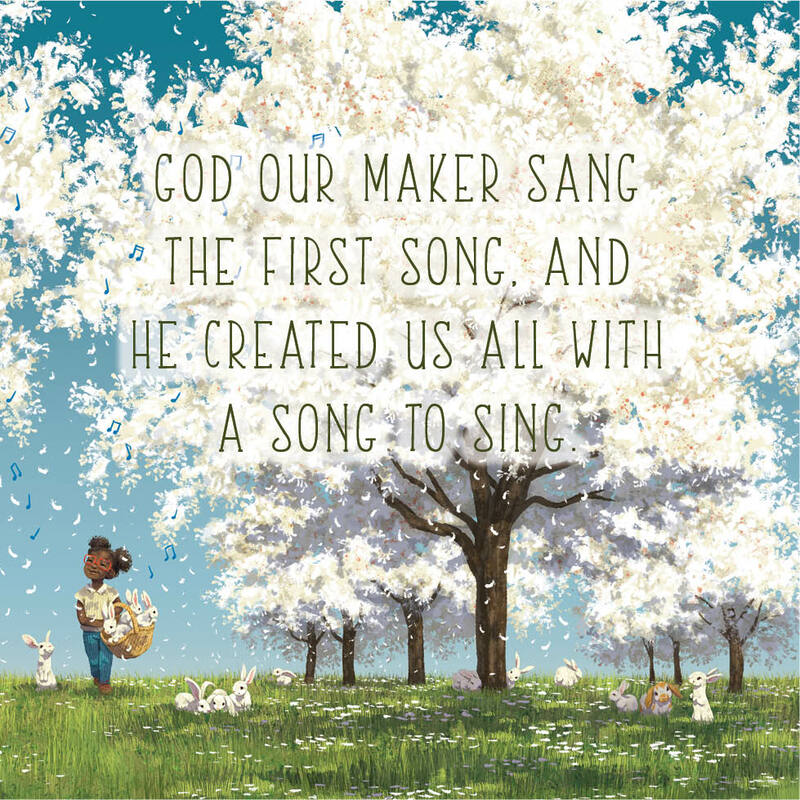 Well, this beautiful book asks and answers that question with the conclusion being God, but then goes on to talk about how God didn’t stop there because He gave everyone a song to sing. I think this book is just beautiful and has a sweet message that I want my girls to hear and take to heart. Until next time…keep it simple!